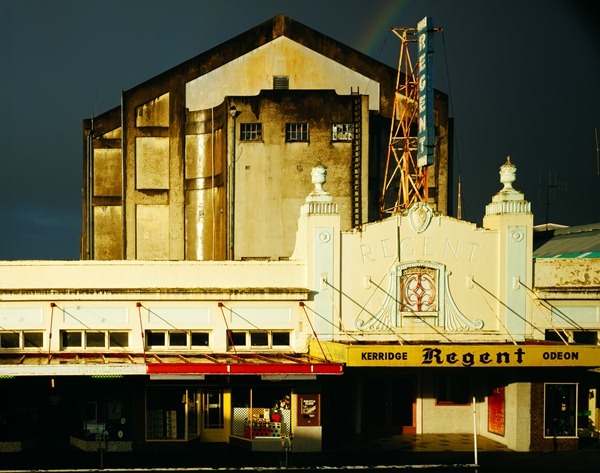 Neil Pardington, Regent Theatre, 1986, LED / C-Print. 1987/8/1. 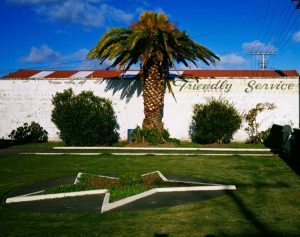 In 1985 a brand new role was created at the Sarjeant Gallery – Photographer and Designer. The first to fill that position was Neil Pardington. Neil, now creative director of the design agency Base Two and an award winning photographer of international renown, was kind enough to answer some questions about his time at the Sarjeant Gallery. What did your role at the Sarjeant entail? “It was my first job after graduating from Elam School of Fine Arts. The first thing I had to do for the job was to purchase the necessary photography equipment and set up a dark room – I call that a dream job! How do you think working here has impacted your career? 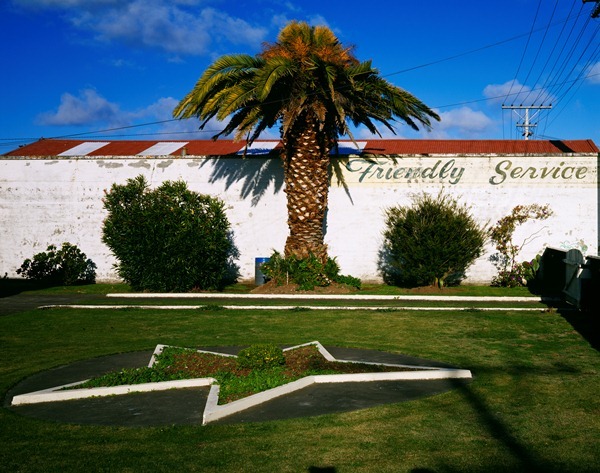 Neil Pardington, Friendly Service, 1986, LED / C-Print. 1987/8/2. You shared a darkroom with Laurence Aberhart, the first Tylee Resident, how did that influence you? What was the building like to work in back then? Did you have a favourite exhibition from your time here at the Sarjeant? Thank you Neil, as a current staff member it is interesting to see how much, and how little, has changed in the last 30 years.